Teppei Syokudo, the sister outlet of the immensely popular Teppei at Orchid Hotel, caters to the casual diner looking for a quick Chirashi fix or takeaway lunch. Despite its minimalist menu, we quickly realised that Teppei Syokudo focuses on quality rather than quantity and we were pleasantly surprised. 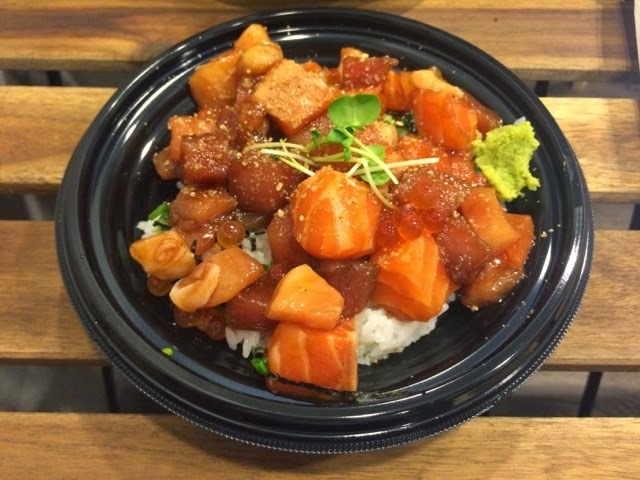 The Bara Chirashi bowl, or more commonly called the Kaisen don, boasts fresh and plump portions of salmon, tuna and white fish sashimi. Each slice of sashimi, completely coated in Teppei's unique soya sauce mixture, topped with a generous portion of salmon roe. It would not be an understatement to say that this bowl is worth every cent of the sixteen dollars you've paid. We ordered a side of Fried White Fish to go along with the Kaisen Don. Unlike many other pseudo Japanese croquettes. This one is as authentic as it gets - it is thinly battered and lightly fried. Each bite reveals a pleasant sweetness from the white fish, inviting you to continue to devour it. We would have liked to try the vegetable pancake and cheese croquettes, but we were already too full! 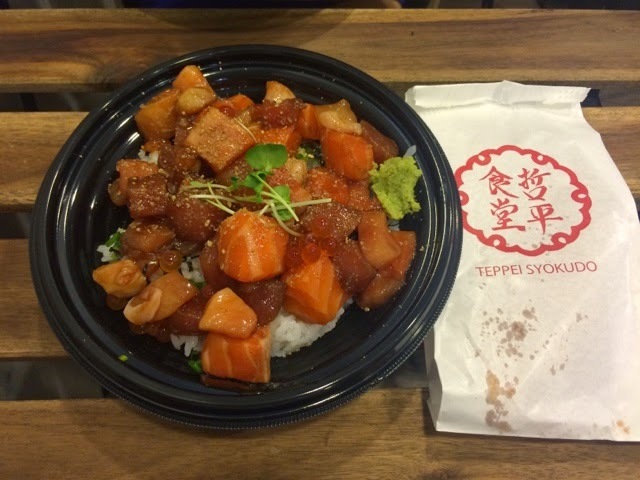 If you are looking for a nice, authentic and affordable Chirashi, Teppei Syokudo is your go-to fix. Aside from their famed Kaisen Don, which we definitely recommend to try, they do offer several other takeaway dishes such as the Katsu curry, Grilled Mackerel bento set, and more.